I'm also going to give away the thread pack!! This thread pack includes DMC 778, Crescent Colours Cotton Apple Fritter, Cherry Tomato, Blackbird, Weeping Willow, Sassy Brass, and Shamrock. I hope you like this month's giveaway and I truly appreciate your suggestions...especially the 310...lol. I'm still working on St. Nick...just a little more before I post again. Have fun stitching and have a blessed week! Hi all! I forgot to send my picture in on Oriental Landscape on Thursday but am just loving it. Purple is my favourite colour anyway so this is a dream. I'm working on the cascading clouds now and soon will be onto the sky to the right and then back underneath to the tree that comes off of the cliff on the page that follows. I have some large sections today to work on but then it's back to confetti stitching, lol...but it's all good! I know we almost all say it but I do love seeing everyone's updates and getting to hear what is going on in our lives. It's been a quiet week here but that's good too! What with a SIL being deployed soon and then our son getting married Dec 2010, there's enough going on all around us - we're just the island of calm! We're doing trick-or-treating here tonight for the first time. My DH doesn't usually like to do that but it will be a first for him and it was his idea - you just never know! Refering to the title of this post, it is the other way around. 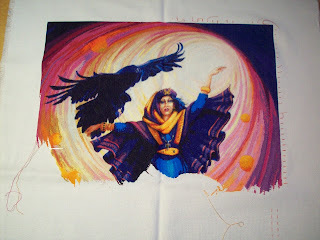 Call of the Raven has been my main stitching these past weeks. 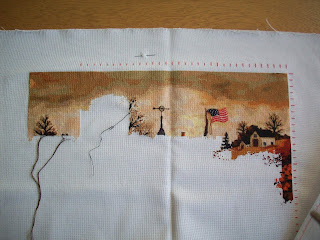 I want to finish the stitching to the left border, so she gets a little bit more attention. Vibrant Vista has some progress too, I finished page three, so all I have to do to complete the first row is to finish page two LOL. I am happy to show you a new photograph today of my advance on "A Long Winter's Nap". The chimney takes form and I am happy. 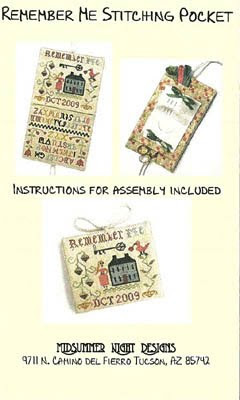 Now, I am sure that it will be finished for Christmas 2009! And bravo to all for your advances, your works are superb! And another week's progress. We now have a moon except for a few small confetti stitches. I see someone else is stitching Peacock Lagoon too. How cool is that!!! Everyone'supdates are amazing and as a result my wishlist just keeps growing!Here's my update on Faery Tales.More blues with a handful of orange's down the bottom which is the top of the giant.Have a good week. I admired everyone's WIP and all look simply fantastic. I haven't been able to stitch on this much for the past two weeks, but I came home early Tuesday from work and stayed home on Wednesday since I wasn't feeling real great. So of course I had to do some stitching to make me feel better right? I am still on page 1 but only have two more columns to finish. Maybe this weekend. No, no... I'm not lost ! I still know the way to the blog...! My dear husband told me that Autumn is my Spring. And he's right ! While the leaves are falling and while the nature gets ready for it's long winter's sleep, stitching projects are blossoming by me ! First, I was not enchanted with the idea of having more than one HAED project at the same time. And the, some circumstances have changed my phylosophy. I was then slowly telling myself : "Why not ?"... Life is too short ! I will start two charts from Stephanie Pui-Mun Law, and one from Scott Gustafson. 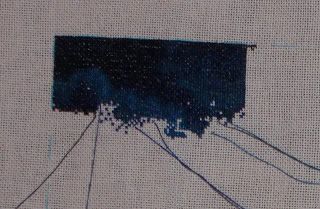 So, for the moment, I'm working on gridding fabrics and ordering all the floss... It's such a pleasure to prepare the journey ! I'm so glad to be here sharing my enthusiasm with you ! 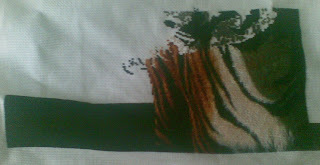 I'm looking forward to show you the first stitches of each one as soon as I will be stitching on them. Of course, my Winter Angel will continue to progress too ! I was very bad and started yet another HAED...I couldn't resist, though, because A) I love this chart and B) I ordered some yummy 30-count linen from Passione Ricamo and had to try it out! Here's my progress so far - 20 rows finished, yay! Who is ready for our Thursday SAL ? I'm in for sure and I'm looking forward to it. 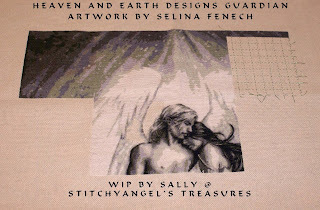 I will be stitching on "Land of Enchantment". I would love to start something new. Maybe after I finished my page on "Land of Enchantment" I can start a new HAED. After finishing pages I can switch between those 2 HAED's. I have 6 WIP's on the run and the box where I collect my WIP's was full. So no reason to start something new. But now I have put all my WIP's in a bigger box, so now I have plenty of room to start something new :) Is this a good excuse ? Wishing you all a lovely stitching day and a very lovely weekend. I'm a bit late putting up my progress, have a bad cold so I've not felt like being on the computer but as you probably know by now it's not stopped me stitching lol. Here I am with a progress of my gothic rose... the photo is not really good, sorry for that, but I'm sure you can see a bit more of the butterfly.. almost 2 pages done.. 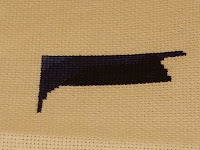 I managed a little bit of stitching today - about 50 stitches, not much, LOL. The last two weeks have been busy for me. 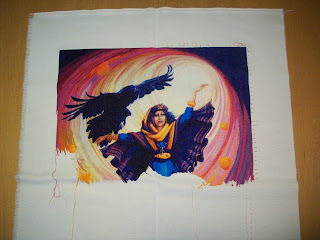 I have been looking at all the beautiful HAEDs; you all are doing wonderful stitching. 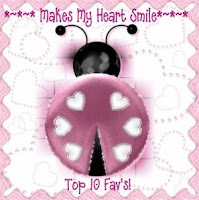 I really enjoy coming to this blog and seeing how everyone is progressing. I hope you all have a lovely, stitchy week! 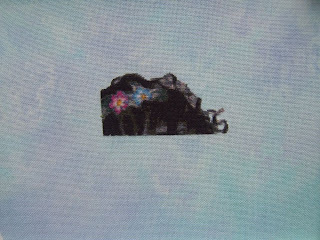 I have stitched some more on Fairy Tales - she is the only one I am stitching on at the moment, the only one I want to stitch. All the other patterns will just have to wait for a little while longer - I just love working on her. I decided to take out the little patch on her forehead and I feel much happier with it at the moment - will have to see how I feel after the whole face is finished (hope that two froggings were enough!). After two weeks of heavy stitching I made great progress with the Sifter. I am so in a black mood...... I cant help it. 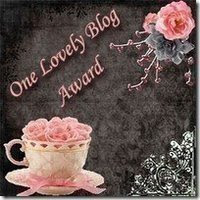 I think it is the time of the year........I am looking every day at this blog at the progresses of everybody. You are all a fantastic bunch of people who enjoy the stitching as much as I do.... And the Buddy members work are a joy to look at also. 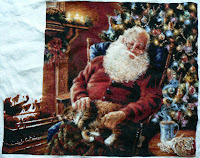 I have together with my dil, a new chart choice.... a christmas stokking...... help!!!!! so much colors !!!!! 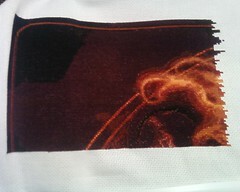 I feel almost happy (lol) everybody have fun with the stitching !!!!! And I'm admiring also all these most beautiful WIP's. They are all gorgeous and inspiring. Well, it kind of is a finish!!!!!!! I have FINALLY finished the first page of my Little Drummer Boy. At the rate I am going, it will take 49 years to finish this project!!! Hopefully, I can speed that up a little bit. He is now being put away for a little while, so I can work on a few other WIP pieces! I'm sure you've all forgotten about me and my Santa. I haven't posted since June, as I've not been working on Jolly Old Fellow in that time. I had a break so I could stitch a Christmas project that I could actually hang this Christmas (L&L's Angel of Hope - she's at the framer now). 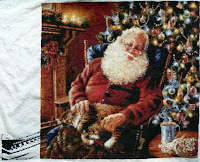 Santa's back on my floor-frame now, and I will be stitching on him next week. I'll be starting back on page 8. I'm hoping to finish page 8 before Christmas. First off... WOW! You guys have been stitching up a storm! Gorgeous work - all of it! Kudos to all! Stats: 28 ct. Joblean - light blue, DMC Floss, 1 X 1 Full Cross. For the HAEDless Sal this weekend, I will be working on A Bouquet of Cheryl. Great progress everyone. All I've had this week are the blues.Here is an update on Faery Tales.I've almost finished page 6 then I have 1 more full page and a part page to finish the top row. thanks to the Buddy programm I can finally take part in this wonderful community instaed of just looking at all the wonderful pictures everyone is posting. Thank you very much! My name is Anna and I'm currently working on two HAEDs. The second one is Bunch of Love QS by Ching-Chou Kuik. 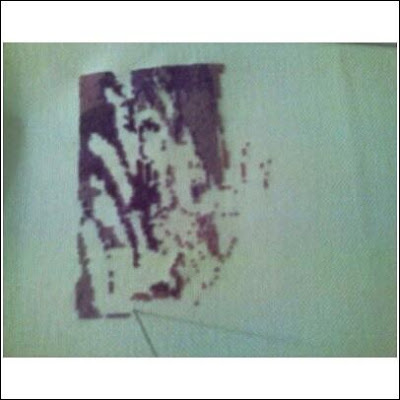 I work this on 18 ct pre-gridded Aida and started it some weeks ago but only work on it for one week in a month. I hope to finish the 4th page of Fly Me To The Moon soon! It's such an enjoyable piece! In the meantime I have been watching all of your wonderful progresses. Since I was so busy lately with my own business, I didn't have time to comment on all of your progresses. I hope it will be a little relaxed for me now, so I will be able to catch up on reading blogs and comment on your wonderful progresses. Keep up the good work everybody. Yippee! 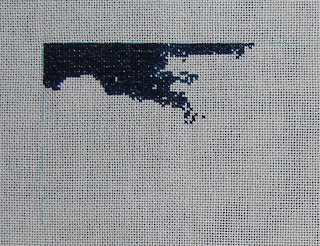 I'm back stitching again on HAED - this time it's Oriental Landscape and it's really going well. I'm happy with purple of any shade and there have only been 4 colour changes this time. It doesn't look like many actual stitches but it's a huge achievement for me. I'm looking forward to having more progress pics in the weeks ahead...it will keep me from being stressed - my son and his long-time girlfriend just got engaged and this will be a BIG wedding - makes me glad I'm mother of the groom this time! I'm also working away on the weight loss and that's steady progress...I'm getting stronger muscles all the time and that's worth it overall too. Hope everyone has as much fun this week as I'm having - I am one of the most fortunate women around! Life is great and friends like you all here - it's wonderful. 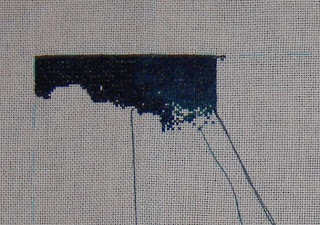 It's SAL day again and I'm getting ready to plant myself in my stitching chair. You guys did an AMAZING job last week! So many stitches! So many beautiful wips! 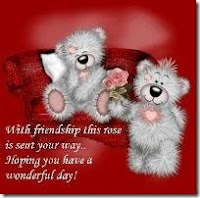 Sending you all BIG (((HUGS)))!!! Wrath - Page 2 Complete! Hope you are all doing great and always looking forward to all of your updates! This is my first post after a few months of break from my last HAED finish (Koukiotis Sleeping Beauty) since July. I really miss posting wips on this blog but I enjoy watching your beautiful wips. It is reallly nice to be back and join my fellow HAED stitchers every Thursday. I actually started Koukiotis Angel of Spring - NB in 2008. 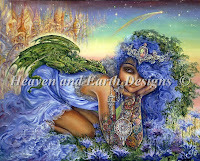 You can see my last update of the old Angel of Spring here. 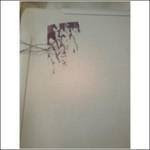 Current one was started on 10 Oct 2009 and I've completed 1 1/2 pages. I am stitching her at a very slow pace since I am starting to play the baker everyday and had been checking for tutorials online for making Christmas ornaments. Like what Cindy and Wendy always tell us - no stress on this SAL blog :0)) Looking forward to see more wips later. I know I have HAEDs to stitch (one being for my daughter Katie) so over this coming school holiay I might just sit down at work out some kind of rota so get in some stitching. Your pieces of work ladies are wonderful and truly encouraging and enabling! I just wanted to say that you are all doing marvellous jobs with each and every piece that I have seen posted! I have the great pleasure to be Susan's stitching buddy. Here is what she is working on. 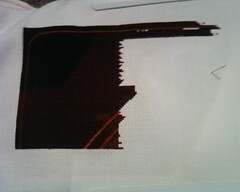 I'm working on Witching Hour and you can see here almost 500 stitches. Doesn't look like much does it? But it's got black and 3 shades of blue. I'm working on ecru aida, 18 ct with 2 strands of floss. More to come next month and in the meantime I'll keep enjoying all your progress pics/tales. Here is the photograph from 10 days ago. 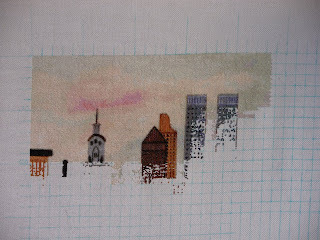 I'm embroidering the chimney, and I'm impatient to embroider fire! I am Lonneke and it's so nice to be able to post here now! Thank you buddy Astrid! I have quickly looked at all your progress, but need to go back and leave comments! Hope everyone has a productive stitching week! First, I want to say "Thank You" to Wendy for the cute bear kit from the September Giveaway! It arrived last week, but I didn't get a chance to post. My kids were all on vacation from school last week - conferences and professional development days - so not a lot of stitching got done. 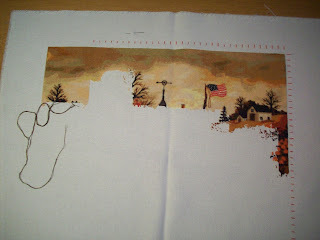 I haven't stitched much this month, and this week I need to work on a Round Robin I need to get in the mail on Saturday. I've hardly touched it. 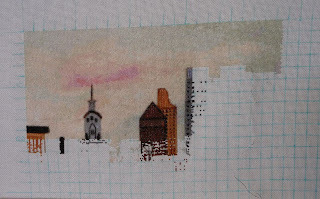 Hopefully next week will be a better week for stitching. QS Reflections 2 is really begging for some attention and I have a couple new HAEDs that are kitted that have started to call me... What's one more WIP?? Wonderful updates from everyone. I was out of town last week and I'm slowly catching up! Beautiful progress! Beck has her gorgeous floss!!! Update From My Buddy-Valerie J. New Buddy List and WELCOME to our new friends!! !